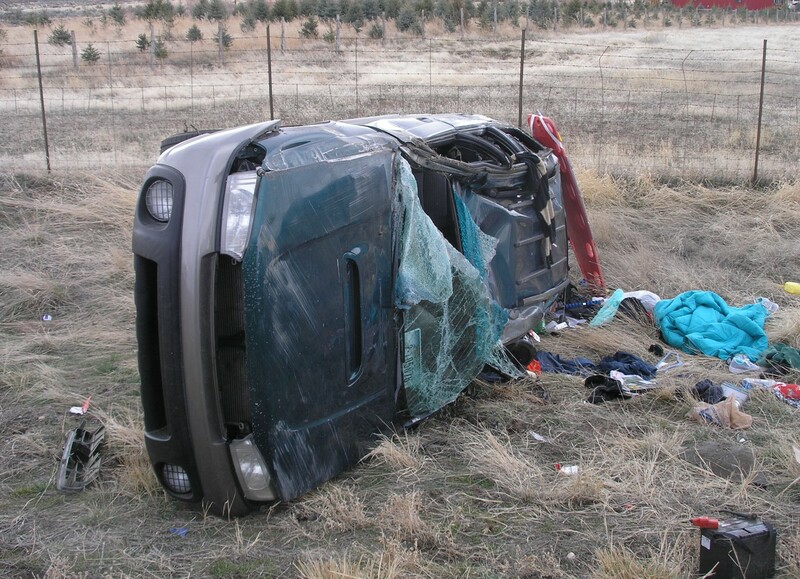 IRON COUNTY – An SUV rollover on northbound Interstate 15 resulted in an arrest near Parowan late Monday morning. 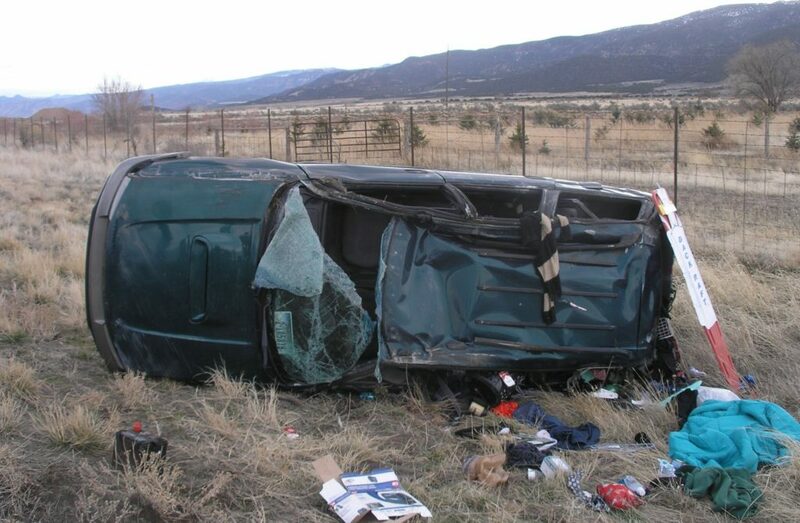 Around 11:16 a.m., Utah Highway Patrol Trooper Brian Bairett witnessed a rollover in his rear view mirror. An SUV behind him started to veer to the left and into the median when the driver suddenly over-corrected back across the northbound lanes, causing the vehicle to go into a roll across the lanes and off the right shoulder of the Interstate. The vehicle came to a stop on its left side with the driver and a passenger inside. 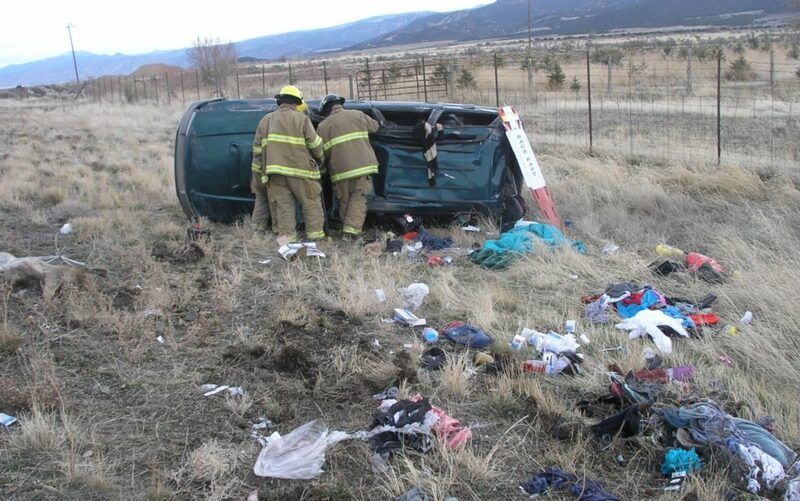 The driver, a 25-year-old male, and the passenger, a 20-year-old female, were both wearing their seat belts, yet needed to be cut out of them by Bairett. The male was removed through a passenger side window while responding firefighters had to aid the female in getting out of the wreck. She sustained a leg injury while the driver received non life-threatening injuries to his head, Bairett said. The driver told the trooper that a sports car had cut him off and that was the reason the SUV rolled. Bairett told the driver he saw what had happened and noted there hadn’t been any sports car. “I watched the whole thing happen right behind me in the rear view mirror,” Bairett said. Both the driver and passenger were transported to an area hospital for medical care. The driver would ultimately be arrested and charged for alleged possession of marijuana and drug paraphernalia, having an open container of alcohol in the vehicle, and driving under the influence of a controlled substance.